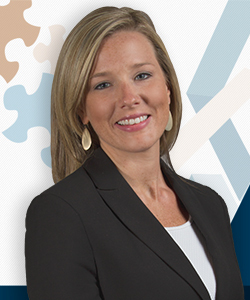 Caitlin Mayes has more than 5 years of experience in the healthcare setting. As Executive Consultant for Medical Management Services, Caitlin focuses on revenue management, operational work flow, insurance claim payment, and denial monitoring. Caitlin began her career in the physician office setting later shifting to physician practice management. Her areas of expertise span the entire operations management continuum affording her fluency in multiple specialty fields including but not limited to neurosurgery, urology, pain management, chiropractic, rheumatology, infusion therapy, infectious disease and plastic surgery. Caitlin’s strong work ethic and attention to detail allows her to effectively operate all work flow processes from productivity and operations improvement to revenue enhancement. Caitlin earned her degree in Healthcare Administration from the University of West Florida, is an active member of Medical Group Management Association (MGMA) and an American College of Medical Practice Executives (ACMPE) nominee. She is a volunteer in her community and serves in several local organizations.